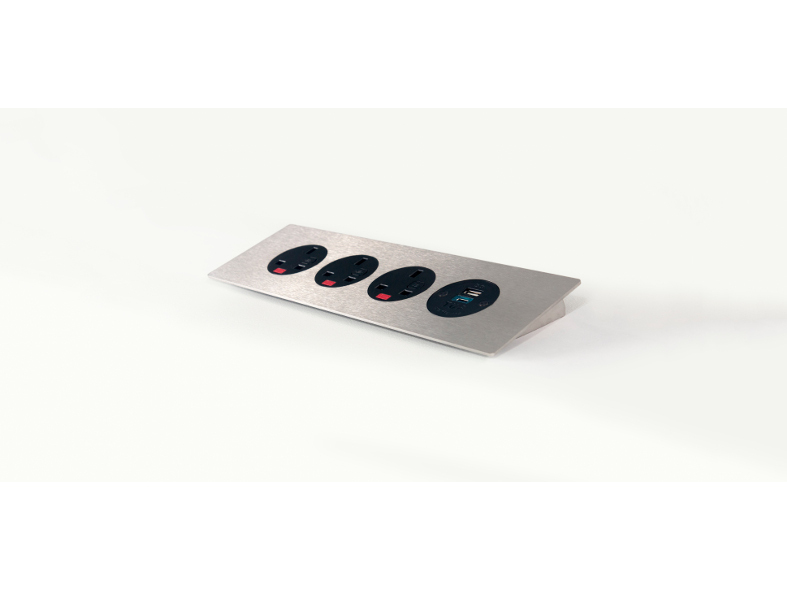 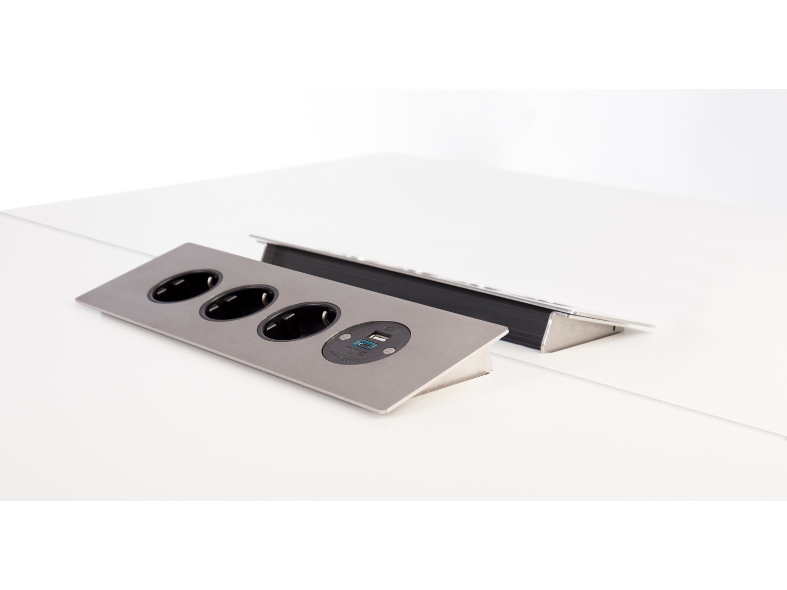 PODIUM offers a sleek, low profile power solution for workstations, public and private areas where AC power outlets, USB charging and data/AV connectivity are required. 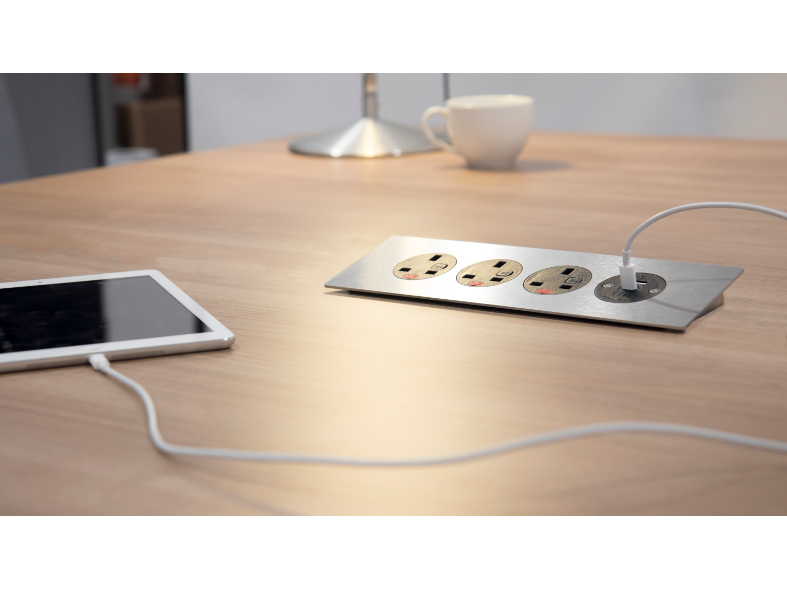 Constructed from extruded aluminium, with brushed stainless steel faceplate and endplates, PODIUM is also built to last. 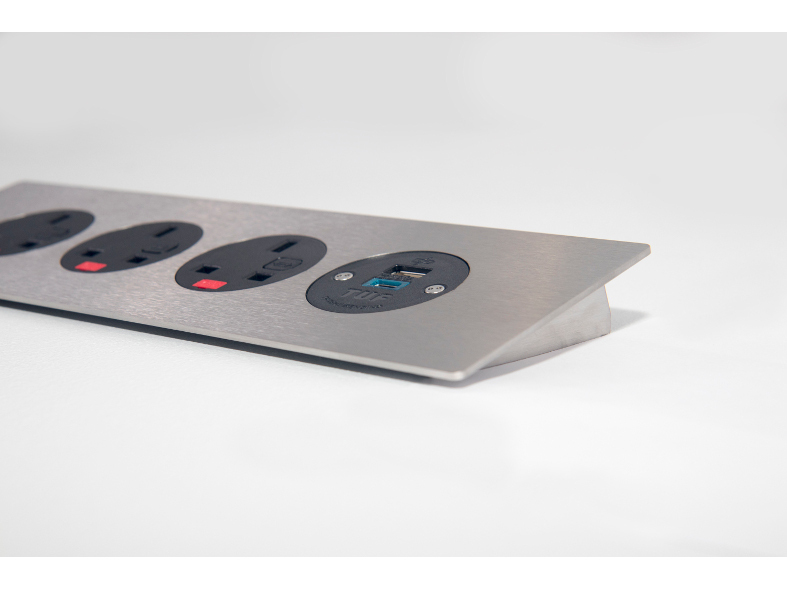 Combining style and function the “floating” faceplate design not only gives Podium a unique and elegant look but also protects the power sockets from liquid spillage in high-risk areas. 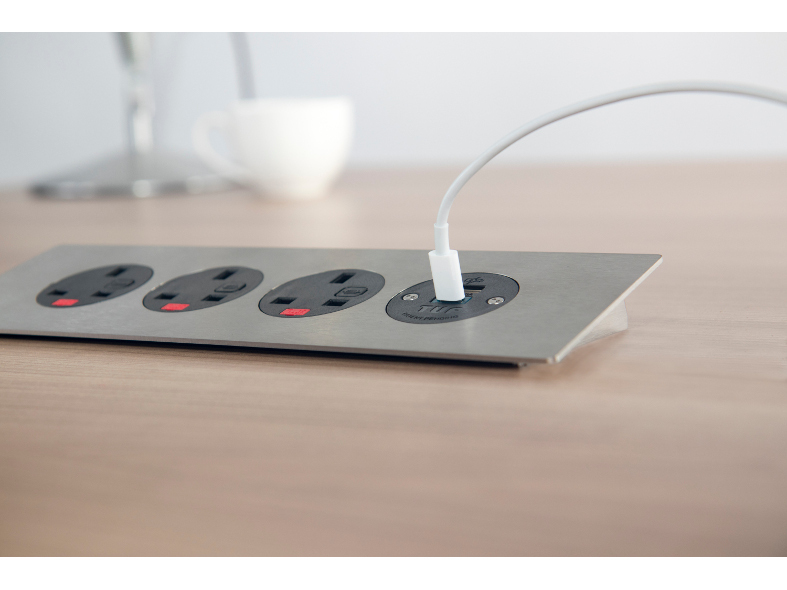 Podium is available in 2 and 4 socket versions and is ETL listed for use in North America in both portable and fixed furniture.